On Saturday, May 13, at approximately 8:20 a.m., Deputy Jason Garner and civilian Community Service Officer Raschel Johnson of the Stanislaus County Sheriff’s Department died in a solo vehicle crash while responding to a burglary call. The patrol SUV driven by Deputy Garner left the roadway near the intersection of Crows Landing Road and Seventh Street before striking a parked vehicle and dumpster. The collision caused the vehicle to become engulfed in flames. 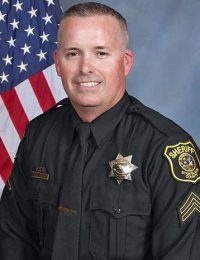 Deputy Garner served with the Stanislaus County Sheriff’s Department for nine years. He is survived by his wife and four children.